Happy day: I am who I am! Animals World Day: vegan power! Article about violence against women: stop ! Pictured are fruit tree gardens in a Céret village in the Pyrennee Mountains. I have gratitude for these trees which Picasso, Bragues, and other artists love to paint. Cherries make a mean pie, but a pain reliever? In recent years, cherries have been discovered to contain potent natural anti-inflammatory compounds called anthocyanins and other flavonoids that work on the same inflammation pathways as aspirin and NSAIDs to reduce pain. In fact, researchers from Michigan State University found that just 10 tart cherries pack the same pain-relieving punch as one or two aspirin-and offer a wallop of antioxidants to boot. 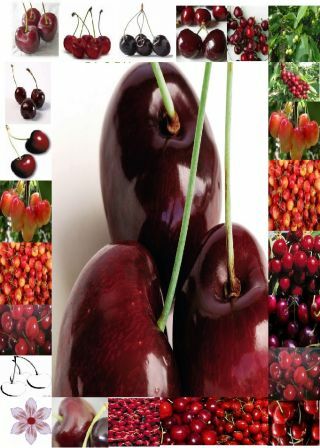 Cherries have also been shown to reduce gout. Gout is caused by a buildup of uric acid, which crystallizes in the joints and causes pain, stiffness, and inflammation. In a study conducted at the University of California Davis, eating eight ounces of cherries significantly reduced levels of plasma urate, a marker of uric acid. Cherries also produced small but notable decreases in markers of inflammation. Life belongs to those who can make a decision! I’m lucky to go three weekends in the Upper Vallespir, Ceret, I found the cherry orchards, a celebration of the cherry in Ceret, a city of artists, where Ihave felt protected for the first time. Picasso, Brague, many artists have come to find their sources of inspiration. Cherries allowed me to heal some internal injuries, they were abundantthis year. Ceret is a typical village with a history of Catalonia, with canals that irrigate landscaped gardens. 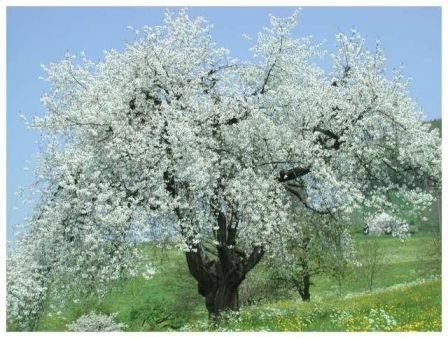 I will return for ​​hiking in the beautiful mountains in May 2010 for the cherry festival!